As the mall refugees grow restless, Takashi and his comrades make plans to leave before Officer Asami's authority slides further and the group's order is completely undone. Unfortunately, just as final preparations for their departure are nearly complete, the mall's defenses are breached, and 'they' come streaming in. 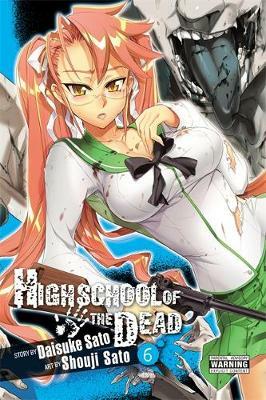 Asami joins the Fujimi High students as they battle their way toward the exit, while the rest of the group seeks refuge on the roof. Their fortress has become a trap - can anyone hope to escape the mall of the dead? !